Prolific Works Author Pages are a way for you to increase and expand your reach with the right readers. Readers will be able to find your giveaways and your information via search engines, and they’ll be able to access your book descriptions. It’s also a good way to lead readers to your website and social media. In the Secondary Navbar select “Settings”. 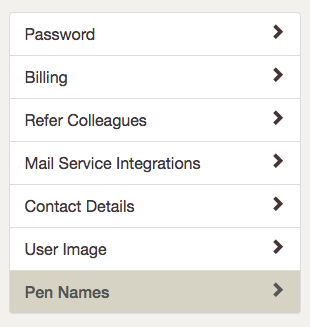 Select “Pen Names” from the sidebar menu. You should be brought to a page that looks like this. 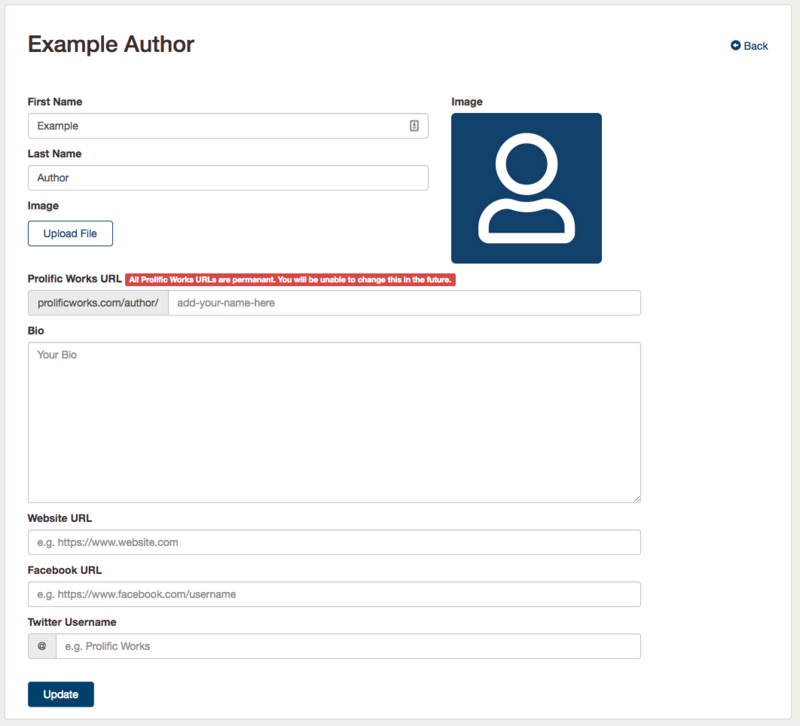 Select the “Edit” button next to your name and your page’s url and you’ll be brought to a page where you can edit your author page. Look at the right side of your screen and scroll down. You should see a section that says “Author Pages” and your pen name(s) and an “Edit” button. First Name: Put in the first name that you use as an author. This is the name Readers will see. Last Name: Put in the last name that you use as an author. This is the name Readers will see. Image: Select a picture to use on your page. Instafreebie URL: The URL where people will be able to find your Author Page. This is permanent once you choose it. Bio: A place to input your author bio. Website Url: If you have an author website, you can link to it here. Facebook Url: If you have an author facebook page, you can link to it here. Twitter Username: If you have a Twitter, put in your username ( @xyz ) here. Contact Details, so your subscribers know how to unsubscribe from your mailing list: Give information on how to unsubscribe from your mailing list. Information about your available books (titles, descriptions, covers, and exclusive and preview details) are added automatically to your page when you make their giveaways are Public and Active.